Repaving and road restoration following an infrastructure project requires coordination. 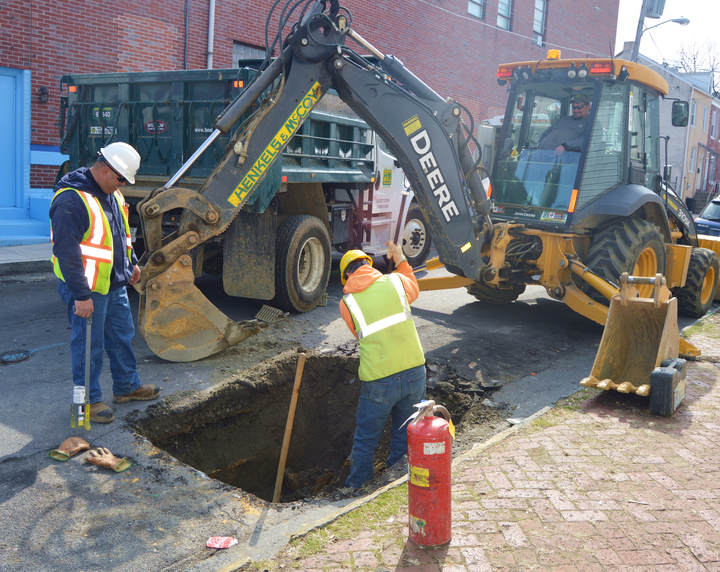 Summer infrastructure replacement and maintenance projects have begun across UGI’s service territory. This year alone, UGI will spend more than $173 million to complete a variety of system enhancement projects to ensure the safe and reliable delivery of natural gas for the many communities UGI serves. But what happens after the underground work is complete? Following completion of a project, UGI uses a two-step process to repair affected roads. First, the road is covered with a temporary patch. The temporary patch is only meant to stay in place until the ground settles. Once settling has occurred, the final paving work is performed to complete a smooth road surface. Mother Nature plays a big role in this process. In addition, asphalt plants close down for the winter and the ground takes much longer to settle. There’s a very good chance that a utility project completed late in the fall won’t receive its final paving until spring. Many municipalities notify utilities of the date on which street paving will begin and make it clear that all utility work has to be completed by that deadline. As a consequence, multiple utilities can show up in the same area at about the same time to perform replacement or betterment projects. When scheduling is not managed carefully, it is possible that one utility will finish a project as another arrives and re-opens the same stretch of road for their project work. UGI works with PennDOT and other utilities to coordinate work, but completion of UGI projects may be delayed until ALL work is done. We appreciate the public’s patience and understanding as we complete these projects to improve utility services. Abide by “no parking” signs during posted hours. Sidewalk repairs also require waiting until the ground settles. If gas service is interrupted, UGI must get into your house to restore it. Ask for ID. Do not remove paint marks or flags until work is finished. How can residents find out about UGI work performed in their area? UGI provides residents and community members with a list of current projects underway throughout our service territory on the News & Community section of our website. Visitors can select their location to view where a project is currently underway in their community.